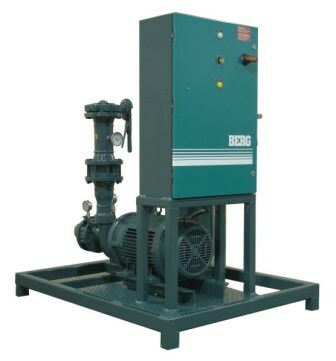 Each Berg industrial pump skid comes complete with a full operations and maintenance manual including assembly drawings, bills of materials and trouble shooting schematics. Made in Canada, Berg Chilling is located in Toronto. We have all components in stock for quick, reliable service. Berg has been recognized by the Canadian Government and awarded the Canadian Export Award, a measure of quality and service. Berg Chilling Systems has experienced process and control engineers who will take your process and provide a total engineering solution. 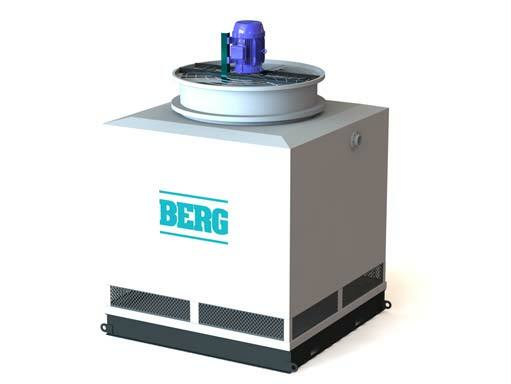 Berg has seen growth in client demands for engineered skid and system packages. Many customers do not have accessible engineering means or expertise necessary to size, configure, and manufacture equipment. 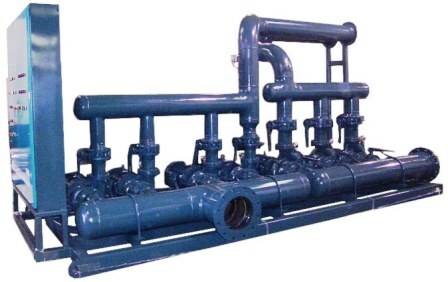 There are engineering codes, electrical and piping requirements, etc. that the end user may not wish to deal with when constructing or upgrading a plant. 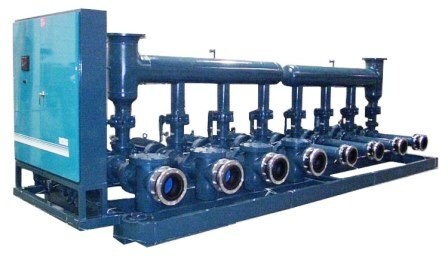 Most skids incorporate equipment such as piping, gauges, mixers, heat exchangers, tanks, valves, pumps and filtration devices. Berg offers fully engineered and assembled skid packages, just give us the basic process requirements, and let us do the rest! Some examples of BERG designed skids can be found on this page. 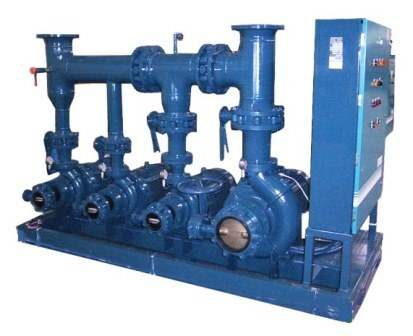 Pump suction and discharge headers design to suit your requirements. Complete with basket filters, one way valves. 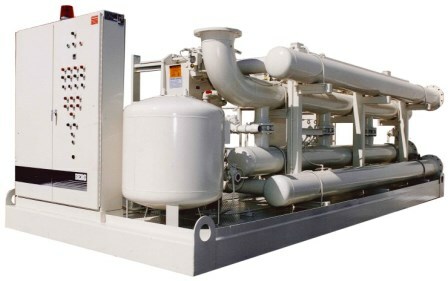 Flow rates up to 8000 US gpm or More!